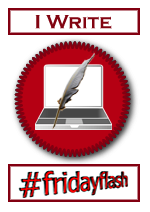 This section will be updated regularly as part of #fridayflash on Twitter. These stories are all part of a fantasy web serial, Nox and Grimm. 116: Oh Brother, Where Art Thou? Yes, they do exist! Or at least, they do in folklore. In pre-christian times it was believed that the first person buried at a gravesite would be bound to guard that place for all eternity. There were many stories about them in celtic and scandinavian countries – from dangerous ghosts living in burial mounds to wise spirits that would give advice to those that sought them out. Later, as christianity took hold the church didn’t want it’s members to be bound to earth and denied heaven. So the first thing buried in a churchyard would be a dog. This gave rise to the stories of black, spectral hounds that would guard the church from evil. Powerful, sad, and sometimes a little sinister, grims have haunted graveyards for over 2000 years.